Letters From Durihana Students – Durihana Inc. 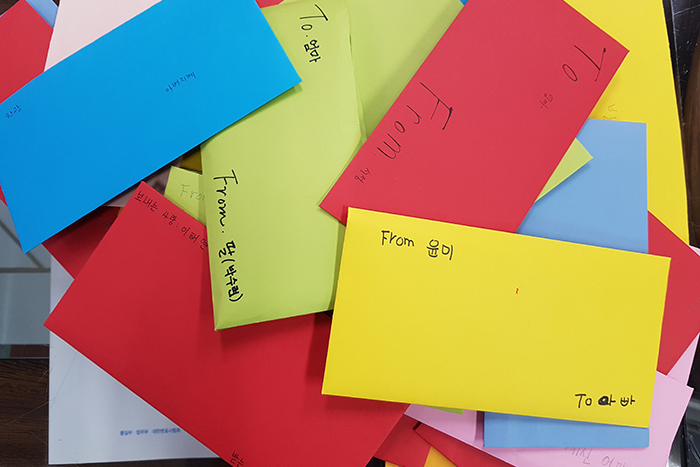 The refugee students at the Durihana International School were encouraged to write letters to their Mom, Dad, or other beloved family and friends. They will never be sent. Why? The reason is that these students were spirited away from China on the Underground Railroad. As they gained their freedom in South Korea, they left behind in North Korea, or in China, a loved one. Sometimes, they were able to escape with a parent who is in South Korea also, but is not able to support the child, and has placed him or her in the Durihana school. You will notice the hope for reunion, but also the sadness behind the uncertainty of ever seeing them again. His or her loved one may be dead, or in a concentration camp in North Korea, or in subjugation in China, or simply away somewhere in South Korea. If the loved one is alive in North Korea or in China, they wouldn’t be able to receive a letter anyway. As you read these letters, please pray for the children represented. Mom! Mom! Can you hear me? I’m Wonmyung. Today we were told to write letters to anyone and I want to write one to you. I miss you so much. Is it hot and rainy, where you are too? It’s a little cooler today at school because of the rain. It was quite hot until yesterday. Mom! I can now ride the bike that dad bought me. I learned to ride it yesterday and I can already ride it after a single day! I wanted to show off that I can ride my bike. I would very much like to ride my bike with you, Mom and Dad. Good bye, Mom!